Though the free version has some limitations, it’s one of the few free nonlinear video editors out there. 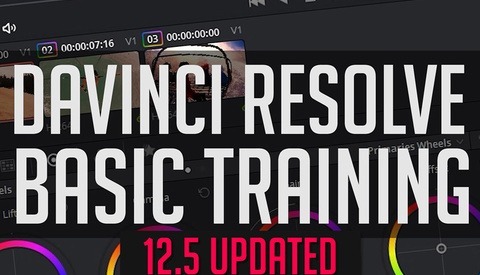 Let’s take a look at DaVinci Resolve. What Makes It Different From Premiere and Final Cut? It looks very similar to other nonlinear editors (NLEs), but it also adds nodes, which are an interesting way to edit that give you power to only affect certain parts of your video frame. This video shows how nodes work..
You can correct the color of the darker areas of the body that often cast a different tone than the face, and you can change colors of garments if it better suits the video to do so. It’s one of the most advanced color correction tools used in the industry today. Blackmagic Design also has some great panels that colorists use to grade their video projects, and some third-party companies have also come out with their own panels that work with DaVinci Resolve. Although it’s not as powerful as Autodesk’s Flame with regards to 3D video editing, DaVinci’s skin retouching is rather advanced. It’s got facial recognition and tracking that allows you to affect only certain parts of a face, even as it moves around in the frame. If you’re looking into progressing into video from photography to add it to the services you offer, this is a great, cost-effective way to do so. 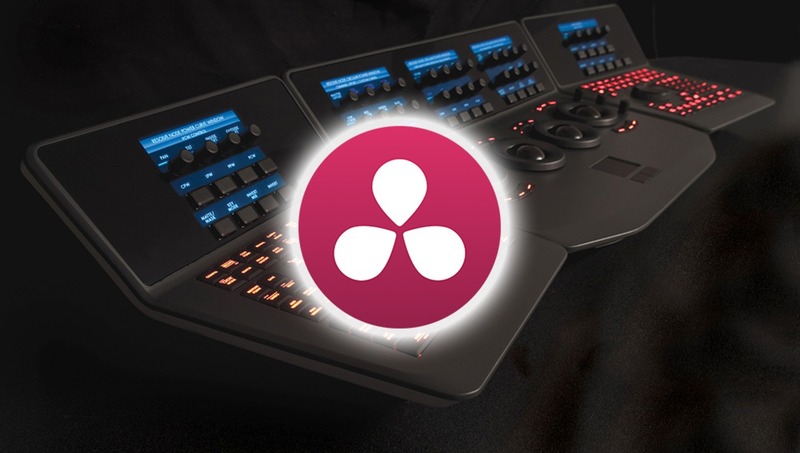 Have you used DaVinci Resolve? Let us know your experience with it. 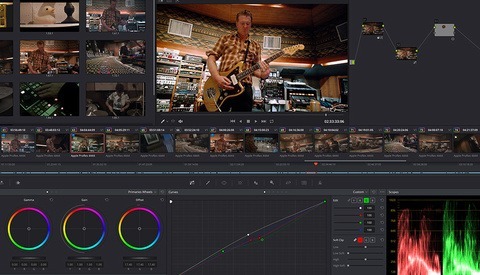 Resolve is a great alternative, especially if you're doing video as a secondary process. I wished it recognized all video formats like Premiere does. It's annoying not being able to work on legacy files, and has issues with certain h.264 files (no audio). Still, it works with most h.264 variants, so stuff off most modern cameras is good to go. If it could handle any file format I would buy the commercial version on a heartbeat. I've read a bunch of different things online but anyone have more tips on the lagging issue. (I have anyway) Trying to edit when things are not smooth is frustrating. Hope this was what you are looking for? Yes, I think I've done this but will check out and make sure. Thanks so much! Good processor is more important than graphic card when you are using premiere, but is´t the opposite with resolve. Good graphic card is the key there. I gave up on resolve because I have old slow graphic card. I have a decent graphics card but an older computer/processor. Well, the card is old as well. If I do both things above it works much better. I think larger projects will be a hassle. Will hold me over for now until I upgrade the computer. Thanks for the tip!!! I really like Resolve. I'm new to video production, and chose it for my first attempts when it was first launched as a free version. Resolve has not been super easy, the learning curve took a few weeks. There were some YouTube videos that helped a lot - but I remember watching several hours of videos to really learn the basics. The companion program, Fusion, which helps with effects, has never been able to launch on my computer. I think this would be a good thing, and would be fun to play around with. Resolve is far more powerful than something like iMovie, but iMovie and FCPX are far easier to use/learn (I'm a results-oriented person, so I care about results and speed). My experience says that Resolve also really wants a Quad-Core+ CPU. It is not a FCP for Windows, yet. But I have taken a few months off for a cross country move and need to unpack everything and try the latest versions. I spent a week trying to get started with Premiere and Final Cut, but wasn't smart enough to get to grips with either, so delayed my entry into the video market. And then a year or so later along came Resolve, which I found to be very intuitive, and now I have no problem making quite complex edits. It opened up video for me. If you think video editing is hard, it's definitely worth checking out. For Resolve video tutorials, I can recommend "Goat's Eye View", which are succinct but full of information. It's one of the best free tools I ever used. Considering what you pay for Premiere it's already a no-brainer to use it for me. But I also like the workflow a lot. Very clean interface and until now I didn't miss a tool yet. Thank you for this article ! As many photographer I'm on my way to add video on my wallet of skills and I've been recently following a lot of tutorials about da vinci and spend a lot of time on it. It's a very fascinating programme and now also very complete with the version 14 where I can handle all parts of the video editing process, not only colour grading ! And by the way, thank's to Casey Faris for his really great tutorials ... there were the one that helped me to get a hand on the software ! I used it and it seemed great, with one fatal (to me) drawback. It requires a GPU with at least (as an absolute bare bones minimum) 8Gb RAM. It does not use the normal RAM on the motherboard, no matter how much RAM is installed. As an occasional video editor only, the GPU upgrade wasn't worth it for me. Resolve is a good program for me. Unfortunately, with my Ursa Mini Pro, Premiere won't recognize my CinemaDNG files Natively. I have been used to Premiere and FCP for years. With Resolve, I am still running a GTX660M GPU with 2GB of Video Memory. Resolve is heavily GPU dependent. With render cache and optimized media, I can swap between 1080p and the 4.6k timelines with ease. Grading in resolve is unmatched, but the editing still leaves something to be desired, for me. I just miss premiere and the ability to easily meld with After Effects compositions on a real time basis, and have the ability to keyframe some great effects. Once that stuff in resolve is done, I render it out as full debayer and as individual clips. Import into premiere, complete my edit with after effects comps, and then export from premiere in whatever resolution the client needs. I love BlackMagic. 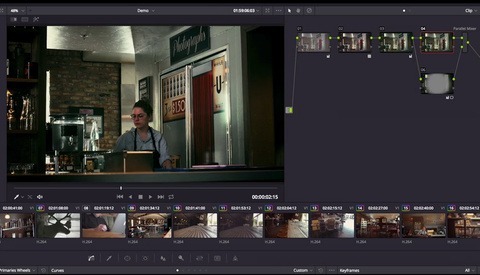 Their new cameras are amazing and Davinci Resolve has come a long, long way....but i still think they are a couple years away from being my standalone editing platform of choice. For now, it's my initial grading and rough edit platform of choice. This method sounds interesting. Do you lose any quality when color-grading first and then taking it into Premiere? And I suppose it's a bit of a mission to edit the color again if client asks you to do so? Or do you think you can round-trip it again from Premiere to Resolve and back to Premiere again? Fusion is not an option for you? I know it means learning another program tho.